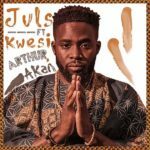 London based Ghanaian record producer, Juls lets out his self-produced single titled Saa Ara which features Kwesi Arthur and Akan. 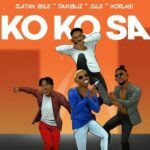 DOWNLOAD http://www.akpraise.com/wp-content/uploads/2018/08/Juls_Ft_Kwesi_Arthur_Akan_-_Saa_Ara_Akpraise.com.mp3 Share your thoughts!!! 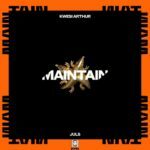 UK Based Ghanaian born producer Juls teams up with Tema based rapper Kwesi Arthur for new jam tagged Maintain. DOWNLOAD http://www.akpraise.com/wp-content/uploads/2018/03/Juls_-_Maintain_Akpraise.com.mp3 Share your thoughts!!! Raving diaspora based producer JULS dishes out the visuals to his Tomi Agape & Santi assisted song tagged After Six. AUDIO (Download) https://www.youtube.com/watch?v=a2UGfvDSyb4 Share your thoughts!!! Award winning production movement Team Salut recruits the services of Juls and Afro B for new song tagged Hot Property. DOWNLOAD http://www.akpraise.com/wp-content/uploads/2017/10/Team_Salut_Ft_Juls_Afro_B_-_Hot_Property_Akpraise.com.mp3 Share your thoughts!! Raving London based artist Juls teams up with king Burnaboy in new single dubbed Gwarn. 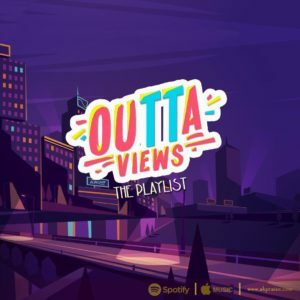 DOWNLOAD http://www.akpraise.com/wp-content/uploads/2017/10/Burnaboy_Juls_-_Gwarn_Akpraise.com.mp3 Share your thoughts! !